Cockroaches first appeared some 320 million years ago, during the Carboniferous period. And it’s true that the humble roach could survive radiation exposure that would kill most humans in a matter of minutes. So, it’s little wonder that this pest is so difficult to wipe out! Also, roaches will eat almost anything, walking across garbage, feces, and piles of rotting food during their foraging trips; and then trotting across your kitchen countertops or through your food cupboards, tracking dangerous bacteria as they go. Bearing that in mind, you’ll want to know how you can eradicate such resilient, tough household pests. In our Buyer’s Guide, we’ve reviewed seven of the most effective roach killer products on the market today. You’ll also find lots of helpful advice on how to control roaches, along with the answers to many commonly asked, roach-related questions. Let’s start by reviewing the tools you’ll need to kill your unwanted, scuttling house guests. We’ve looked at seven different roach killers, including baits, gels, sprays, and traps. Use a combination of all these products to efficiently and quickly rid your home of these unhygienic nuisances for good. Click on the links to read more about each product and to check out reviews that other customers have posted. German cockroaches can be one of the most challenging species to get rid of. Invict Gold gel bait is specially designed to tackle these most persistent and resilient of roaches. Made by a highly regarded U.S.-based manufacturer, this gel bait uses imidacloprid, as well as no fewer than 11 other attractants to dispatch problem pests within just a few days. Use the handy syringe to apply a pea-sized blob of gel to infested areas, indoors and outdoors. 4 x 35 gram tubes. Kill German Roaches!! See Pestcontrolpros Amazon store for less then 4 tubes. You MUST ALWAYS READ THE LABEL BEFORE USING THE PRODUCT!! The powerful attractant is highly effective in tempting and killing German roaches. The gel can be used inside and outside of the home. The syringe dispenser makes it easy to target the nooks and crannies where roaches love to hide. The gel can dry out quickly, so it loses its efficacy, especially in very hot weather. That means you’ll need to keep reapplying the gel to be sure it’s still working. The product only works on German cockroaches, leaving you with a problem if you have a mixed range of roach species to eradicate. Using the gel can be labor-intensive if you’re treating a large area or a heavy infestation. Combat Max are roach killing bait stations that can be placed in drawers, cabinets, under kitchen appliances, and wherever else you’ve seen roach activity. The roaches are attracted by the bait, eat it, and are poisoned. The toxin (fipronil) contained the bait is taken back to the main nest where it’s eaten by many more roaches, eventually eradicating the whole colony. The bait stations work for up to 12 months, offering great value for your money. The compact, black bait stations are easy to use and can be discreetly positioned where they’re not noticeable to visitors. The poison contained in the bait stations works on many species of cockroaches. Some users report that the bait stations are not effective against larger roach species. The toxin contained in the bait stations is harmful to pets and children, although it is difficult to access. As part of a comprehensive campaign to wipe out roaches in your home, a kill-on-contact spray is essential. Raid’s roach killer spray acts on contact and can be used to treat areas of known roach activity. You can also use the spray to create barriers to areas of your home that are not infested, restricting the roaches’ movement and keeping them contained in isolated zones that are easier to treat. The spray kills roaches instantly. The product has a pleasant lemony fragrance. The spray also works against other insect pests, making it a multi-use product that’s good value for money. The spray is great for wiping out small infestations of roaches and for use as a barrier to keep existing populations contained, but it doesn’t provide a long-term solution, and it won’t work in isolation. The poison in the spray is highly toxic, making it dangerous to use around pets and small children, especially if inhaled. Roaches can squeeze into the tightest of spaces, making it easy for them to hide and very difficult for you to kill them! 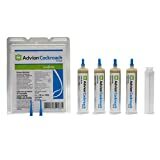 Advion gel is perfect for targeting cracks and crevices where roaches hide. You can also use the gel on your boat, in your caravan, and even in your car. Unlike a bait station that’s placed for roaches to find, this gel enables you to take the bait to the pests! The gel has a long-lasting action and is irresistible to roaches. The highly-potent, toxic gel is perfect for tackling heavy roach infestations. The gel is suitable for use in a domestic or commercial environment. Using the gel can be labor-intensive compared with bait stations, especially if you have a large area to treat. One major drawback to using some roach bait products is that you’re left with dead bugs all over your place. With the Roach Motel, the roaches crawl inside to eat the sweet-scented, sticky bait, are trapped inside, and die there. You can check the station once a week to see how many roaches you’ve caught. That will allow you to see how successful your eradication strategy is. The bait inside the trap is non-toxic, so the product is safe to use around kids and pets. You won’t find dead roaches littering your floors. The traps are effective for many weeks, basically until they’re full and you have to replace them. You have to rely on the roaches entering the traps for the product to be effective. That can be a problem as not all species are attracted to the same type of bait. Ortho Insect Killer is perfect for creating a roach-proof barrier around your baseboards, under cabinets, doors, etc. That will prevent other roaches from entering the area or existing ones from moving and spreading throughout your home. The barrier is also effective against silverfish, ants, etc. The product represents excellent value for its cost, and it creates a really useful, long-lasting barrier against roaches. You can use the product indoors and outdoors. The electric spray nozzle makes for easy, targeted application of the product. The spray nozzle can fail after relatively minimal use. Harris pest-killing products are a long-established brand that has been around since 1924. Their boric acid roach killer powder contains 99 percent boric acid, enhanced with a special food-grade lure. You can use the powder indoors and outdoors. The product is EPA registered, so it’s not harmful to the environment. Apply the powder generously behind appliances, cabinets, baseboards, your dishwasher, and other roach hotspots. Use the handy nozzle to treat cracks and crevices where roaches may lurk. The powder is highly effective at killing all species of roaches. The product is U.S.-made by a reputable company. 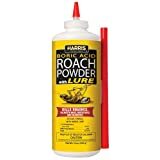 In comparison to other roach killer products, Harris’ powder is very cost effective. You can’t use the product in isolation to effectively to tackle large roach infestations, although it is handy when used as part of a holistic treatment campaign. Boric acid won’t work against large species of outdoor roaches. What are the different types of roach killer products? Roach control is an essential part of maintaining a healthy, hygienic home. These scuttling pests can spread bacteria around your living space, potentially causing food poisoning and even triggering allergic reactions and asthma in vulnerable individuals. And once your home is invaded by roaches, they can be tough to eliminate. There are several different forms of roach killer products. Sprays kill-on-contact, making them perfect for instantly terminating very small numbers of roaches or individuals. They can also be used to create a toxic barrier, preventing roaches from spreading and keeping them contained in one small area where they can be more effectively eradicated. Once you’ve applied a coat of spray, it should last for up to four weeks before reapplication is required. Gel roach killer usually comes in a dispenser with a nozzle that you can aim into small cracks and crevices where roaches like to hide. Gels are perfect for killing roaches where they hide during the day before they get a chance to come foraging in your home after dark. The main drawback to gel is that it can dry out after a few weeks and you’ll need to keep reapplying it until the infestation is wiped out. Roach traps are extremely useful for dealing with larger scale roach infestations. Multiple traps can be placed around infested areas, under kitchen appliances, inside cupboards, etc. Some traps contain a sweet substance that attracts the pests, which are then caught inside the trap where they eventually die. Other bait station-style traps contain a slow-acting toxic bait that kills the roaches slowly after they’ve ingested it. Foraging roaches carry the bait back to their nest for their compatriots, effectively poisoning the whole colony. If you have kids or pets, you may need to choose only roach killer that doesn’t contain poison, just in case your dog, cat, or curious toddler decides to eat some of the toxic substance. Alternatively, you’ll need to take steps to restrict access to roach-infested areas that are being treated. If you want to use a safe, non-toxic roach killer, you could try using boric acid powder. Boric acid is a naturally occurring chemical that sticks to the roaches’ bodies. Once ingested, the powder destroys the pests’ nervous system, eventually leading to death. Although you won’t see the immediate effect that you’ll get with a kill-on-contact spray product, boric acid does work eventually. Additionally, it has the bonus that the roaches take the poison back to their nest, spreading it among the entire population. What poisons are contained in roach killer products? Before you can decide what roach killer to use, you’ll need to understand what ingredients to look out for. Most roach eradication products contain toxic chemicals and insecticides that will kill roaches very effectively, but which can also cause serious health problems if they are ingested by kids or pets. Fipronil is a potent insecticide that certainly kills roaches, but it can cause nausea, vomiting, headaches, dizziness, weakness, and even seizures if it is ingested in any quantity by a person. Watch out too for imidacloprid. Imidacloprid is another highly effective chemical that’s used to specifically target German cockroaches, which are notoriously difficult to kill. Insect killer sprays such as Raid, use a combination of imiprothrin and Cypermethrin. These chemicals are both highly effective at killing insect pests, but they can irritate people who suffer from asthma and other respiratory conditions. If you need to use a safe, child and pet-friendly option, look out for bifenthrin and zeta-cypermethrin as active ingredients in roach killer products. These chemicals are derived from the broad-spectrum insecticide, a pyrethroid. Although pyrethroids can cause minor side-effects if inhaled from a spray, they are generally safe for kids and pets to walk across once the product has dried. If you have a roach infestation that comprises many different species of roaches, you’ll need a high-performance product that works for all of them. MetaActive is contained in Advion cockroach killer products. The compound is effective against all species of roaches that are commonly found in the U.S. It’s highly palatable to the pests and is especially useful for treating species that have become resistant to other insect baits. Using just one roach killer product will not achieve the total annihilation you seek! The best way to get rid of roaches is to make sure you use a holistic approach that covers all your bases. First of all, restrict existing roach populations to small areas to prevent them from spreading and colonizing your whole home. To do this, use a roach spray to create a barrier across doorways and windowsills, or “fence off” roach kill-zones within a room. Don’t forget to include exterior doors to prevent roaches from coming in from outside. Gel, Bait, and Traps…Oh My! Use a gel bait to fill nooks and crannies where roaches could hide. In areas where roach activity has been seen, place powder, gel, bait stations, or traps. Focus on places where there is moisture or a food source such as in your kitchen or bathroom. Cover all areas by placing traps or bait stations underneath appliances, cabinets, and cupboards, behind the toilet, and near the kitchen trash can. Incorporating roach traps in your strategy is essential. Traps don’t allow roaches to escape, keeping them inside the trap until they die. That allows you to monitor roach numbers in different areas of your home so you can see how effective your eradication campaign is and keep your focus on problem areas. Avoid checking traps and bait stations for at least a week after you’ve put them in position. That’s because roaches seek quiet, dark places, and disturbing the pests could prevent them from taking the bait or walking into the trap. Once your holistic roach killing strategy is in place, take care to keep your home as unattractive to roaches as possible. Clean down all kitchen countertops on a daily basis, don’t leave dirty dishes in the sink or allow the dishwasher to remain full for days before switching it on, and always take your trash out at night. It’s also a good idea to mop your kitchen floor with a bleach solution at least once a week to keep germs at bay. In this section, we’ve tried to answer some of the questions asked by homeowners who are suffering from a roach invasion. If you don’t see the information you’re looking for, shoot us an email, and we’ll find you what you need. Q: What attracts roaches to your home? A: The resilient roach has very basic needs: food, moisture, warmth, and shelter. If you are in the habit of leaving dirty dishes in your sink, crumbs, and scraps of food on the floor, and food left out on your countertops, you are effectively laying on a buffet for roaches. Also, roaches need moisture, so damp towels, a wet bathmat, or a leaking pipe underneath your bathroom sink will draw the bugs to your home. Q: Can cockroaches play dead? A: Yes, indeed they can. Cockroaches can remain immobile or even roll onto their backs, giving the illusion of death until a human or other threat has gone. Once the coast is clear, the roach will flip itself back onto its feet and make a break for freedom. Q: Can you drown roaches? A: Roaches can hold their breath for up to 40 minutes! In an experiment carried out by Mythbusters, several roaches were submerged in water for 30 minutes. At first, the bugs appeared to be dead, but the next day, all of the “drowned” roaches were alive and kicking! Q: Can you kill roaches with vinegar? A: No, vinegar doesn’t kill or repel roaches. However, undiluted vinegar sprayed over a countertop and left to work for 10 minutes will kill Salmonella, preventing the roaches from carrying the bacteria around your home. Q: What diseases do roaches carry? A: One of the main reasons that roaches are so feared and despised is that they can carry and spread diseases, some of which are extremely serious. Some diseases that have been found in roaches are, salmonella typhi (causes typhoid), poliomyelitis, and dysentery. Also, roaches pick up bacteria and germs from garbage and feces on their bodies during their foraging trips. And you don’t want that trampled all over your home! A: Although roaches don’t go in search of people to attack, they can inflict a bite if you try to pick one up. The bites themselves are minor, possibly causing minor lesions, localized irritation, and swelling. However, roaches can carry disease and bacteria, so it’s best not to touch them at all if you can avoid doing so. Cockroaches are a disgusting health hazard that you don’t want to find crawling over your floors, kitchen work surfaces, and bathroom. We recommend taking a holistic approach to getting rid of roaches, and that means using a multi-pronged approach and a variety of products. Now, that may seem like overkill, but it’s necessary to eliminate this harmful pest from your home. Use a roach killing spray such as Raid to create barriers, restricting roach movement and keeping the pest contained. Apply a gel to the nooks and crannies where roaches hide out during daylight hours; we like Advion gel for this purpose. The product is easy to use and highly effective, killing the pests before they have a chance to emerge from their hiding places. Set roach bait stations around infested areas. We like Combat Max 12 Month Roach Killing Bait as a bait station solution. The bait is slow-acting, allowing roaches to take the poison back to the nest, quickly wiping out the whole colony. Finally, use traps to capture roaches. Strategically-placed traps allow you to monitor roach numbers so you can see how well your campaign is working. We like the Black Flag Roach Motel for this purpose. The product is simple to use, traps roaches very effectively, and can be used safely around pets and kids.